WEST LAFAYETTE, Ind. – Purdue University will lead a new national center to develop brain-inspired computing for intelligent autonomous systems such as drones and personal robots capable of operating without human intervention. The Center for Brain-inspired Computing Enabling Autonomous Intelligence, or C-BRIC, is a five-year project supported by $27 million in funding from the Semiconductor Research Corp. (SRC) via its Joint University Microelectronics Program, which provides funding from a consortium of industrial sponsors as well as from the Defense Advanced Research Projects Agency. The SRC operates research programs in the United States and globally that connect industry to university researchers, deliver early results to enable technological advances, and prepare a highly-trained workforce for the semiconductor industry. Additional funds include $3.96 million from Purdue and support from participating universities, pending final contracts, which include: Arizona State University, Georgia Institute of Technology, Pennsylvania State University, Portland State University, Princeton University, University of Pennsylvania, and the University of Southern California At the state level, Purdue's Discovery Park worked with the Indiana Economic Development Corporation to secure funding to establish an intelligent autonomous systems laboratory at Purdue, pending IEDC board approval. C-BRIC, which begins operating in January 2018, will be led by Kaushik Roy, Purdue’s Edward G. Tiedemann Jr. 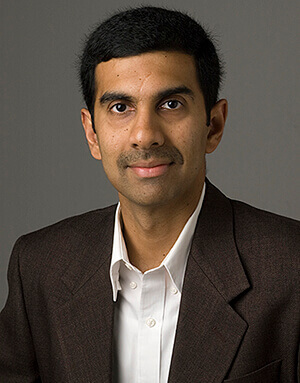 Distinguished Professor of Electrical and Computer Engineering (ECE), with Anand Raghunathan, Purdue professor of ECE, as associate director. 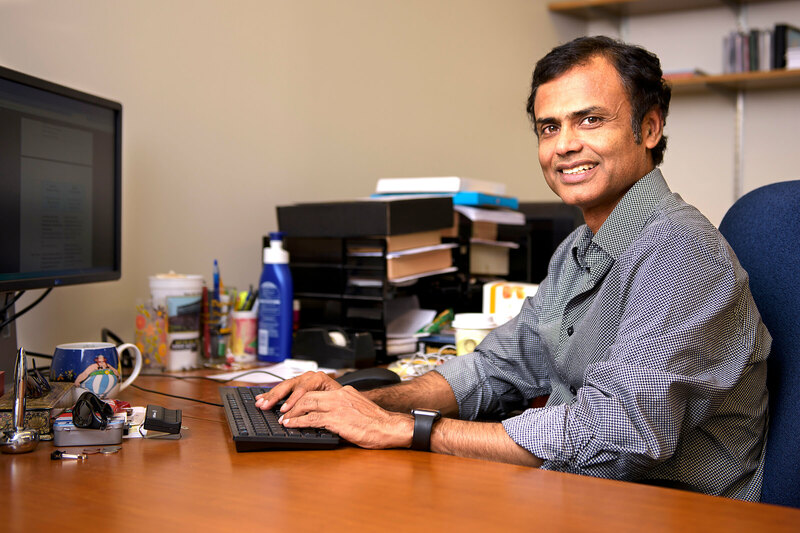 Other Purdue faculty involved in the center include Suresh Jagannathan, professor of computer science and ECE; and Eugenio Culurciello, associate professor of biomedical engineering, ECE and mechanical engineering. “The center’s goal is to develop neuro-inspired algorithms, architectures and circuits for perception, reasoning and decision-making, which today’s standard computing is unable to do efficiently,” Roy said. Efficiency here implies energy use. For example, while advanced computers such as IBM’s Watson and Google’s AlphaGo have beaten humans at high-level cognitive tasks, they also consume hundreds of thousands of watts of power to do so, whereas the human brain requires only around 20 watts. In addition, the center will enable next-generation autonomous intelligent systems capable of accomplishing both “end-to-end” functions and completion of mission-critical tasks without human intervention. The center will involve about 17 faculty and around 85 graduate students and postdoctoral researchers across the universities. To achieve their goals, C-BRIC researchers will improve the theoretical and mathematical underpinnings of neuro-inspired algorithms. At the same time, new autonomous systems will have to possess “distributed intelligence” that allows various parts, such as the multitude of “edge devices” in the so-called Internet of Things, to work together seamlessly. “We are excited to bring together a multi-disciplinary team with expertise spanning algorithms, theory, hardware and system-building, that will enable us to pursue a holistic approach to brain-inspired computing, and to hopefully deliver an efficiency closer to that of the brain,” Roy said. 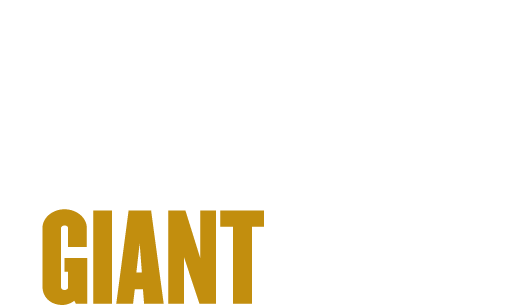 Information about the SRC can be found at https://www.src.org/.